This probably seems the most obvious. It's probably something you do already every time you watch a film: talk about what happened. What did the characters do, where did they go? Some films are full of events, some are not, but either way, engaging with the plot and the events of the story is probably one of the most essential aspects of watching a film. We primarily use film as a medium for telling stories, therefore it makes sense that this would be what we should deal with first. Storytelling is really powerful, and can show us aspects of our lives and the universe around us that we would never see without a different perspective. It can take us to new worlds that better tell us about the real world we live in. It's important that we dig into what happens in the film and truly understand what the artist is saying so that we can learn from it, and discuss it. To see what perspective the filmmakers are trying to convince us of. 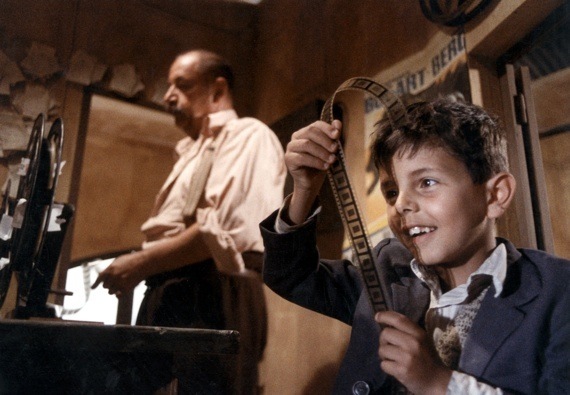 For example, the film Cinema Paradiso is a lovely film about a boy who basically grows up in the cinema in a little village in Italy. Movies are an important aspect throughout his life. As a boy he can never be shooed away enough from the projection booth, where he later works, and then grows up to be a movie director. We see the world around him change, but what is constant is the movies and those involved in showing and viewing them. Ok, so that's what happens, but what can we draw from that? Well that's where discussion comes in. Obviously there is no one right answer, which is why we're discussing it. But what is there? So films obviously play an important role in the life of this city, why? What is the filmmaker telling us through this? Perhaps he is showing us that people need stories. Especially when they seem trapped in their lives with nothing ever changing. Movies allow them to experience a new places and experiences. Perhaps that's why the villagers spend all of their time at the movie theater. Perhaps it's because of the community they find there. Why does Toto fall in love, but it slips away? Why is it that he is never close to others? Could it be that the life of an artist requires separation? Could it be that we struggle to connect? I'm not sure, but again, this is where discussion comes in. 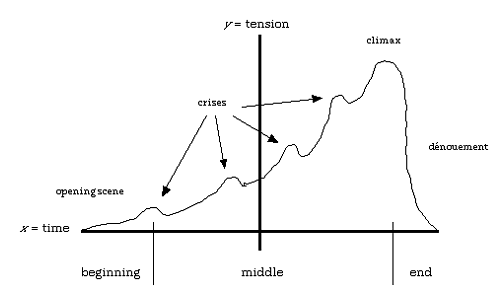 When you watch a movie, ask yourself why aspects of the story are there. Why would the filmmaker include that particular plot point? Why does the character go to one place and not another? Where does the hero end up, and is it different from before? If so, what has changed? So for this assignment, next time you watch a movie or TV episode, reflect on why the story is the way it is. Why the filmmaker might have chosen that particular plot. Spend some time seeing what this particular might be saying, and drop your thoughts below in the comments. I'm curious to see what you may find!